This easy to work with self striping yarn knits into garments and socks with ease. 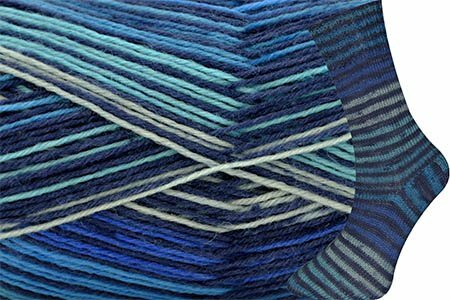 This washable yarn come sin rich colors. size 2 knitting (2.5mm) knitting needles produces 28 st/36 rows for a 4 inch swatch. Hook size f (3.75 mm) produces 23 single crochet st and 30 rows for a 4 inch swatch.